According to the dictionary, the word rate is defined in two ways, 1) a fixed price paid or charged for something, and 2) a measure, quantity, or frequency, typically one measured against some other quantity or measure. Based on that definition, the term rate can be used to refer to the cost of adoption, as well as the speed of adoption. Those are two common, weighty factors when considering adoption. Adoption is notorious for being expensive and drawn out, but what are the facts concerning cost and speed? 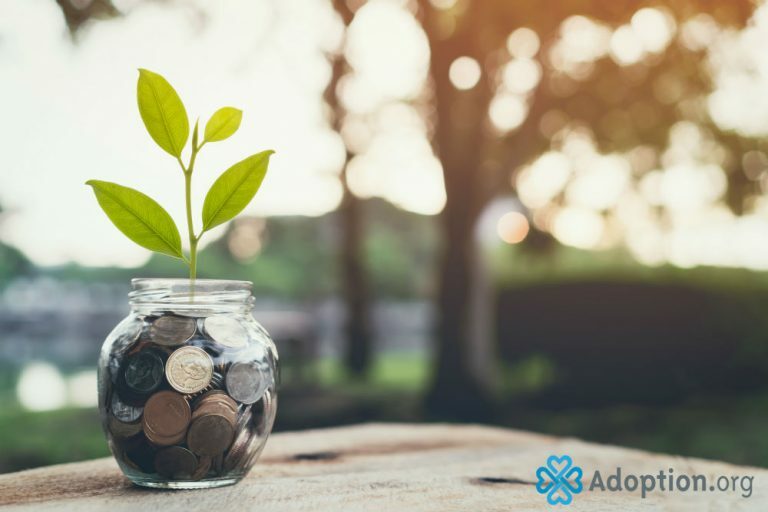 Each avenue of adoption (domestic infant, foster adoption, international, lawyer, agency) comes with its own costs and time frames, and each adoption story is singular. It can be difficult to sort through the facts and myths concerning rates and wait time. First, consider rate in relation to fees. For anyone who is considering adoption, the costs associated with adoption can be astounding. Affording an adoption can be a formidable endeavor. Even though it is illegal to “buy a child,” the legal, agency, and birth mother fees, as well as all associated travel costs, can make your head spin. While not all adoptions cost thousands of dollars, it is true that many do. According to Creating a Family, “The range for an adoption [with an] agency is from $5,000 to $40,000+, with almost 60% falling within $10,000 – $30,000, and the average being around $28,000. Some adoption agencies have a sliding fee scale where adoption costs are based on your income.” Families who adopt from foster care, typically pay no more than $2,000, with most paying nothing. The costs are staggering, but there is financial help available. The U.S. government offers $13,000 of tax credit that you can apply to the federal tax bill over the course of five years. Also, there is a myriad of scholarships and grants available to qualified adoptive families. The rates associated with adoption don’t need to be scary. The term rate can also tell the frequency in which something occurs. In adoption terms, this would be placements. To get a good picture of adoption rates, you need to step back to see the broader picture. As of August 2018, the world population was over 7.6 billion people. Around 4 million babies are born in the United States each year. According to the Adoption Network statistics, around 140,000 children are adopted by American families each year, and around 62% of babies in domestic infant adoptions were placed with their adoptive families within a month of birth. Of non-stepparent adoptions, about 59% are from the child welfare (or foster) system, 26% are from other countries, and 15% are voluntarily relinquished American babies. Around 37% percent of adopted children are non-Hispanic white compared with adoptive parents, 73% of which are non-Hispanic white. Overall, 40% of the adopted children are of a different race, culture, or ethnicity compared to both of their adoptive parents (or their sole parent if there is only one parent in the household). With domestic adoptions, the more specific you are in your preferences, the longer you will generally wait. The travel.state.org website offers fascinating graphs and charts that show the breakdown of over 271,000 adoptions in the United States in 2017. Rates in terms of dollars signs and timetables should not be the determining factor to not pursue adoption. In reality, these things, while being annoying to deal with, are things that are associated with bringing a precious child into your forever family. They are worth every obstacle that has to be faced.